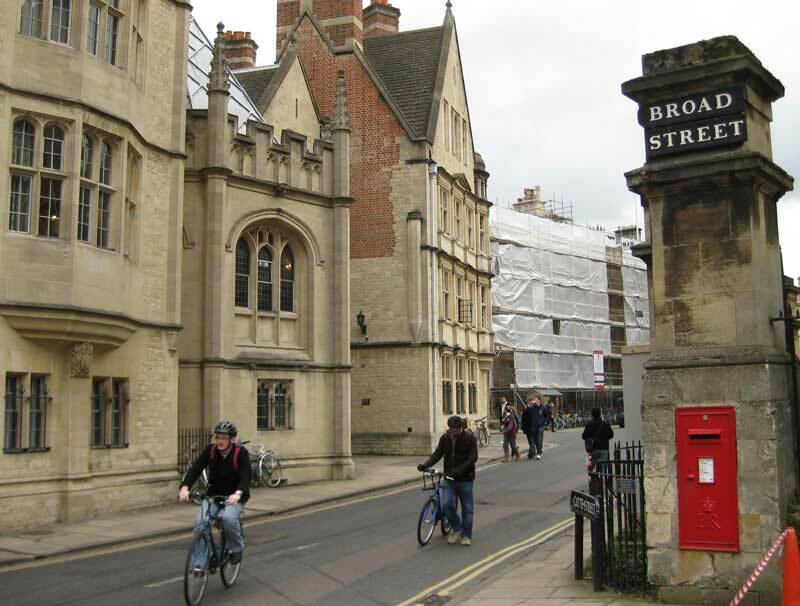 This stood at what used to be the top of Catte Street, just to the north of New College Lane. (The area to the north of Catte Street was then outside the city, and is still technically the east side of Broad Street.) This gate was little more than a postern, and was removed between 1661 and 1675. This was a small octagonal chapel, formed out of a tower of the city wall. Later known as the Octagonal or Round House, it was already a private house in 1582, and a shop by 1708. In the nineteenth century it was numbered 29 Broad Street. 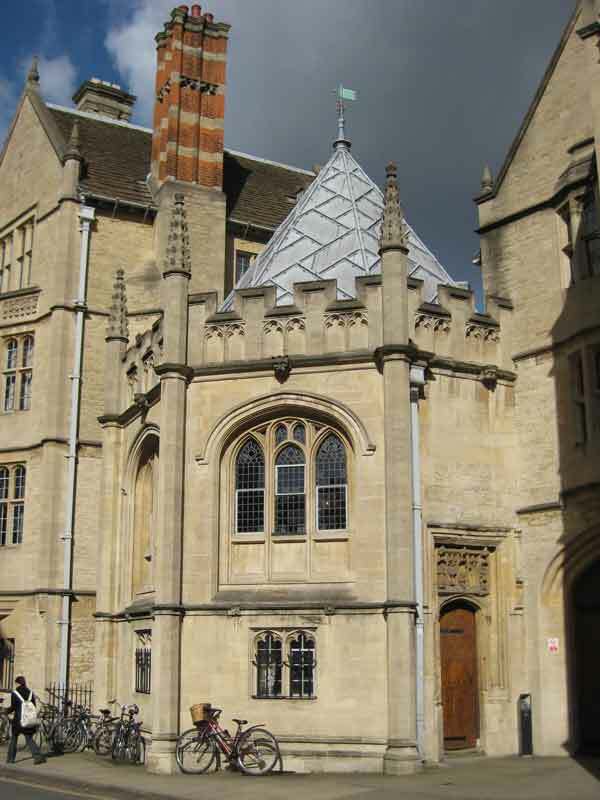 The old chapel remained a shop for a number of years even after 1902, when it was incorporated into Hertford College’s new north quadrangle. In 1931 it was altered to create Hertford’s junior common room, shown below viewed from Catte Street. Between Smith Gate and the East Gate the wall was (uniquely in England) double, but very little remains of the outer wall. 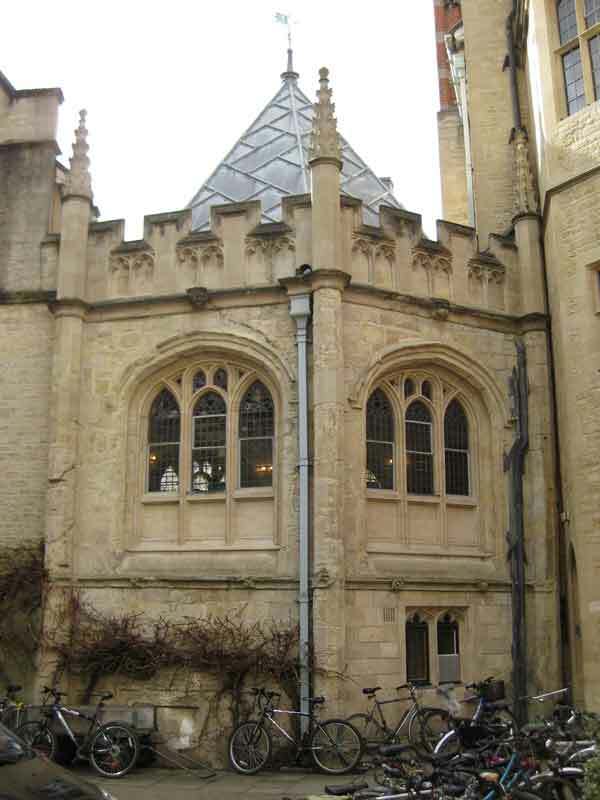 The inner wall, however, is almost intact in a long section through New College.